The Fraser River continues to rise due to Freshet. The Hope Water meter station is showing 7.4 meters which is getting crazy big in the canyon. 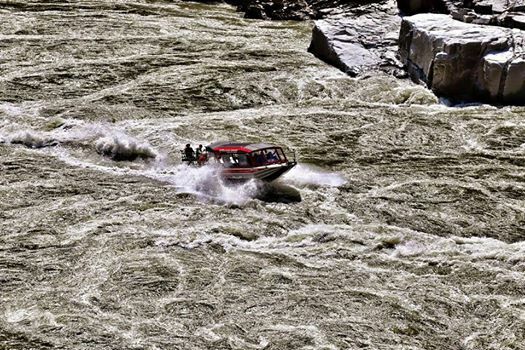 I have ran the canyon at that water level but it is getting near the upper limits even for our twin engine boat. Over the next 4 to 6 weeks you can expect these types of water conditions to continue or until majority of snow pack is gone. With predicted low snow pack you can expect water levels to improve by early to middle of July. Fishing this past week was fair, most of our sturgeon trips were producing decent results of 5 to 7 fish per boat. 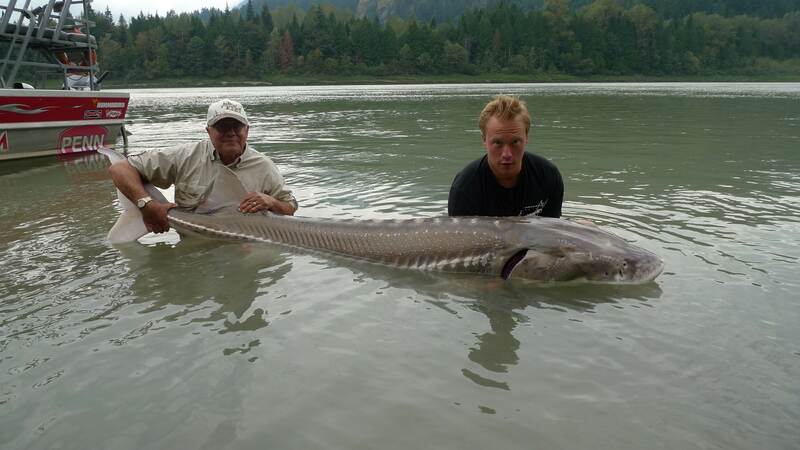 Most of these sturgeon were in the 3 to 6 foot range with a couple bigger fish landed on Friday. Best bait continues to be Lamprey eel but high water fishing means you can try just about anything. Sometimes thinking out of the box can produce some great results, cray fish, dew worms, pike minnow, shrimp and roll mop are all baits that are known to catch sturgeon. 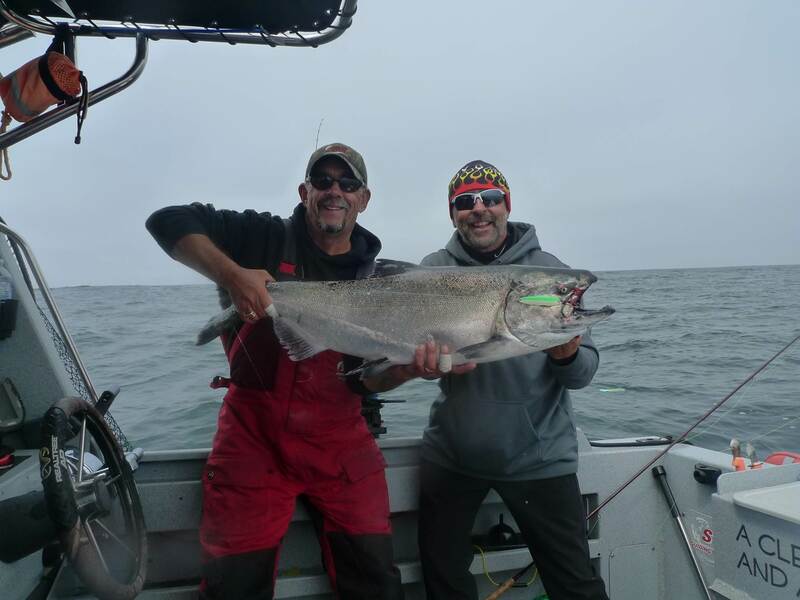 Salmon fishing out of Vancouver has been fair to good, still lots of nice Chinook Salmon being caught, most anglers are focusing on the South end of Bowen or running across over to Gulf Islands. 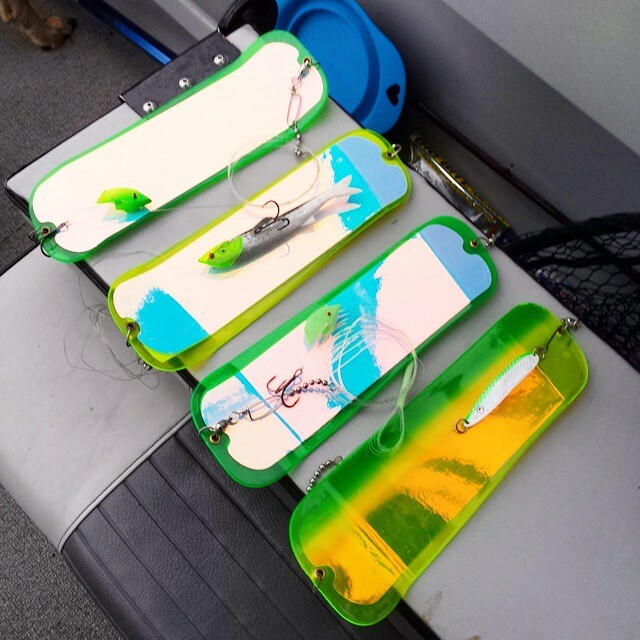 Lots of reports coming back from local guides and anglers who have been using the New Gibbs/Delta Guide Series Flashers, looks like the new UV Glo Guide Series is making a statement out on the water. 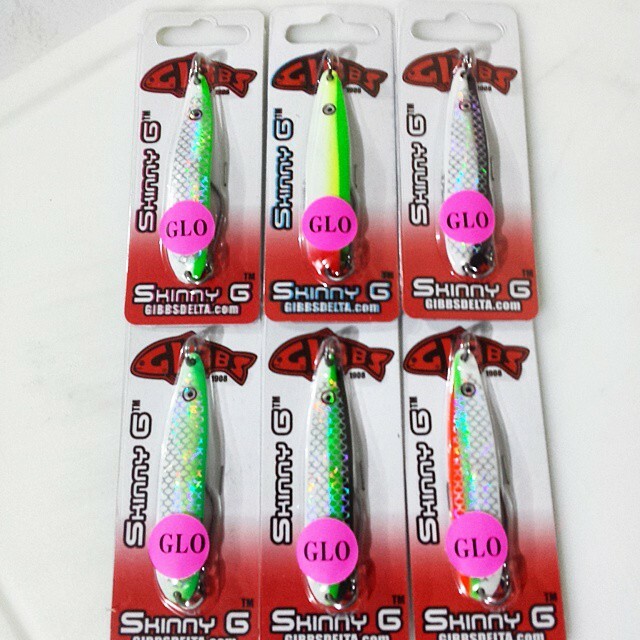 Also new on the market is the Skinny G Series which comes in 6 color schemes, I have not used them yet but early reports are indicating that these spoons are working well in Vancouver and on the Island. Use them like you would any spoon, best is to roll them behind the UV Glo Guide Series Flashers using a 6 to 6.5 ft leader at 2 to 2.5 MPH. Give them a try and let us know how you do. We were up on the Pitt River this past week, water is up but fishing was still pretty slow. The catch and release bull trout fishery really gets going the first week of June and last well into July with sockeye salmon and chinook salmon following close behind. If you are looking for a great experience on a remote river, the upper Pitt is that place. We have been guiding on the Pitt for over 15 years so you can be sure our guides know these waters. The trout fishing trip is an adventure in itself. We meet at Grant Narrows in Maple Ridge ( 45 minute drive from Vancouver) Grant Narrows is a park located on the south end of Pitt lake, we then boat across to the north end of Pitt lake( 35 minute boat ride) then run our jet boats up this narrow shallow river approximately 15Km and fish our way back down the river. This river is remote with limited access. Good wildlife viewing opportunities, including black bears. 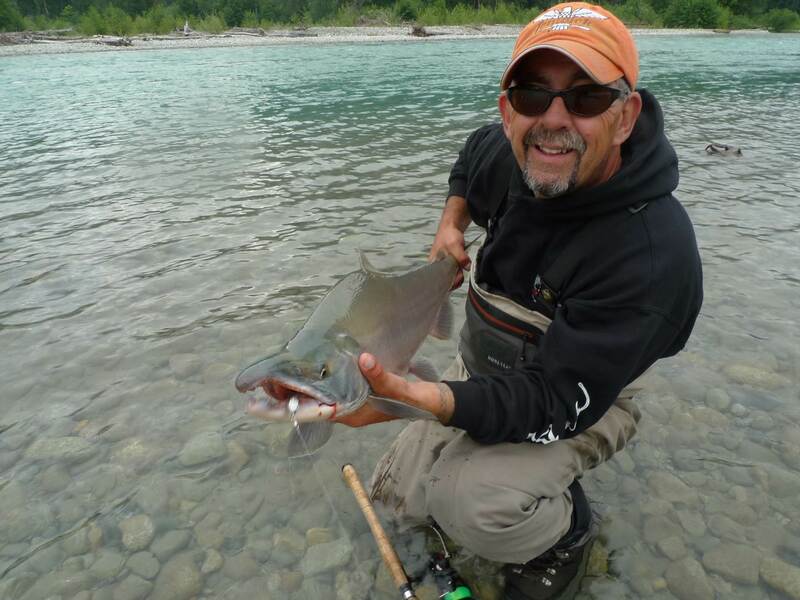 You can fly fish or spoon fish for sea-run bull trout up to 10 lbs, good numbers of trout between 1 to 3lbs with the odd fish between 5 to 10 lbs. There are also cutthroat and rainbows in this river. The cost for this trip is $850.00 for 1 or 2 anglers, includes lunch and all tackle. 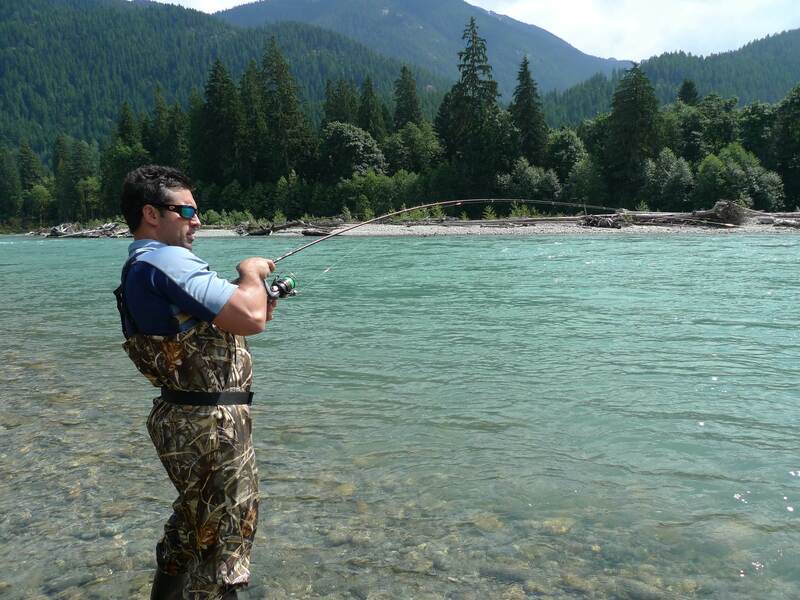 Get ready for steady action and incredible battles with large chinook salmon and tasty halibut. Our West Coast fishing adventures begin middle of June through to end of July, we are 70% booked but still have some great dates in July. Most trips are 4 night 3 day but we also offer 3 night 2 day and guided day trips without accommodations. For more information please call or e-mail us sts@guidebc.com or toll free 1-866-223-5453. 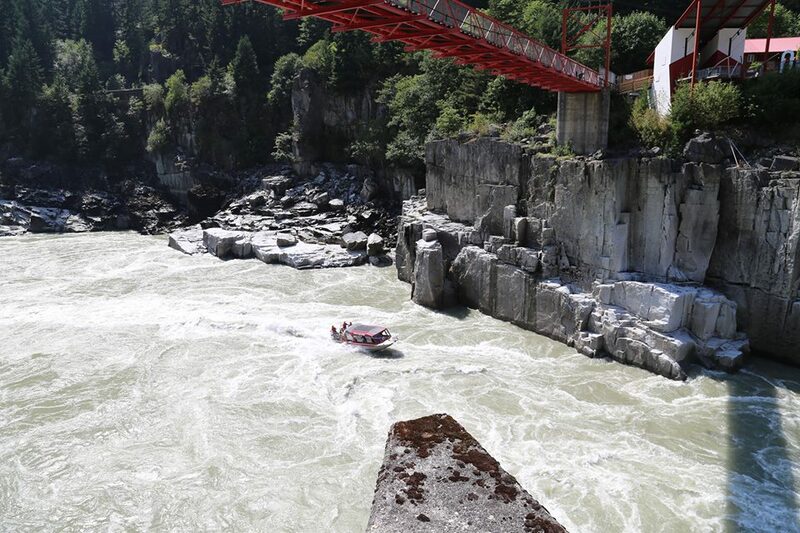 The Fraser River is now in full freshet, lots of stick and debris in the water which will prevent us from doing our Hope to Hells Gate Tours. During high water we continue to offer our Harrison River Tour, Mission to Rainbow Falls and custom tours. Our Hope to Hells Gate and Hope to Sailor Bar will resume when water conditions improve. We still have some weekday trips available in August/September, and weekend dates in October. 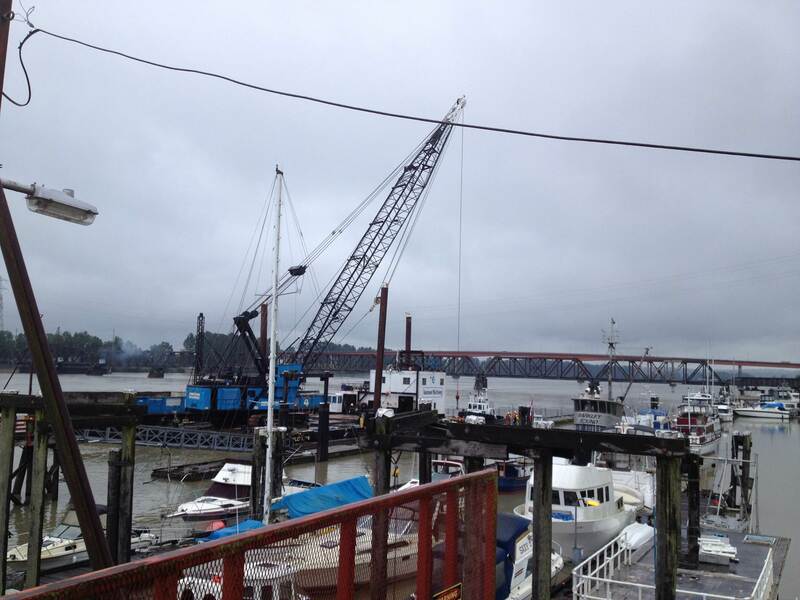 This morning is the start of a project to replace the outside concrete dock at Mission Harbour. The disruption will last about 7 to 10 days while the old dock is removed and new dock is put in place. All boaters are asked to obey the "NO WAKE" signs posted at boat launch and marina. All STS trips will still depart from Mission Harbour but if you arrive early and don’t see our boats, don’t be alarmed as we will be4 using the boat launch each morning to put our boats in and out of the water. You are currently reading May 25 Fishing Report Update at Hells Gate Jet Boat Tours Blog.